One of the games Ari liked to play was collecting moments. When she thought back about her life it was a sea of hazy memory-liquid with the occasional glowing moment-fish standing out. The important moments, yes, but also the defining ones. And the ones she remembered for no reason but because they were funny or sad or just really obvious at the time. Like the moment that she had the best piece of fried chicken in her entire life. Or the moment she realized that the concept of sunlight killing vampires came from the movies and not old historical vampire lore. These moments were bright and shiny when she looked back at them, but the game was to identify them as they actually happened. It was a way to live in the here and now. To pay attention, the way Uncle Jacob always said she should. It also struck Ari as entirely too heteronormative. Heteronormative meant something like “assuming that no one is gay,” and was one of madre’s words. The kind of word that Ari had mostly learned not to use when she was standing more than four feet away from madre. It made other kids think she was a freak, and it made adults look at her like she was a phytoplankten under a microscope that had suddenly learned to juggle. She watched the kids who had said yes gathering together and whispering their plans to sneak upstairs and play. Ari didn’t want to play spin the bottle, of course. She didn’t want to sit in a circle and be forced to kiss random boys. She didn’t know if she wanted to kiss boys at all. Or girls. Or anyone. It was a stupid game for stupid people. But it was her birthday, and she sure wished that Mazie had actually asked her. Not that she would ever admit it. But Mazie hadn’t asked her. Mazie didn’t even look at Ari as she and Ella McGuire walked around to the other kids at the party and spread the conspiracy to hushed giggles and nods. Ari just overheard. Maybe Mazie didn’t know it was her party. Or maybe she did and just didn’t care. Ari watched the group as it gathered and trickled upstairs. She realized they would probably end up in her room. It was the most obviously kid friendly and had the biggest open stretch of floor. A sick feeling blossomed in her stomach. Maybe it could be cured by the application of more cake. As she turned to walk away, she saw Stefan’s face among the small crowd of would-be-bottlers. Her stomach did something entirely different but no less uncomfortable. He looked in her direction as she saw him. He was grinning. She quickly turned away so he wouldn’t think she was looking and rushed through the door. Ari floated around the party after that, trying not to think, not paying attention to much of anything. There was man in the backyard who looked kind of like a stage magician and kind of like a mime doing magic tricks. He seemed to have lost his deck of cards, and none of it was very impressive. There were a lot of snacks on trays all over the house, including the little crispy duck things that were Ari’s particular favorites. She kept eating them just to have some kind of sensation, but right now they just tasted salty and oily and the sharp crackers cut the sides of her mouth. Through it all she could hear the bottle. Spinning and spinning, glass scraping against the finished wood of her bedroom floor. She couldn’t really hear it. Not with the fleshy vibration detectors attached to the sides of her head. But she heard it nonethless. There wasn’t anyone there to talk to or hang out with. Various kids came over to her and said hi, sometimes at the urging of their parents and sometimes actually with their parents in tow. Her father checked in on her periodically, sometimes with parents and/or their children along for formal introductions. At one point he and another father spent twenty minutes negotiating the exact time their two daughters could meet and study together, all the while completely ignoring those same daughters standing three feet away. “So this is your party?” said the other girl, who had rich, dark hair and was very pretty. “The snacks are good,” said the girl. “I like the duck,” said Ari. The girl nodded, and they lapsed back into silence. But Ari was tired of silence. She was tired of not talking to anyone at her own party. “It’s not really my party,” she said. “It’s my birthday. But it’s really my dad’s party. It always is.” She glanced up to see if daddy had heard that, but he was engrossed in his conversation. “It’s cause I’m Indian,” said Sandara. Then, in an affected aren’t-I-a-princess tone, she added, “We’re just born like this.” Both girls giggled. “Well I think it’s very pretty,” said Ari. “And we don’t even going to the same school,” Ari finished. Sandra rolled her eyes, and Ari shook her head in disbelief. Then both girls laughed. Ari’s father, who seemed very tall in situations like this, turned away during a pause in his conversation and looked down at the two girls. “And…they’re off,” said Sandra. Ari burst into giggles. At the same time, she felt a tightness in her chest. Do it! a voice yelled in her head. It had the refined accent and self-confident tone of Lulu, her earthworm-royalty friend from back in Summerfax. Just do it, you dumb girl! “Sandara,” she said, and to her ears she sounded far too serious. “Sandra!” a voice came from behind them, and they both turned to look. A black girl with blonde braids that danced around as she moved walked quickly towards them. “Tanisha,” said Sandara. “What’s up? “You’ve got to see what this boy is doing upstairs. He’s doing these magic tricks, and it’s amazing. You have to come see.” She grabbed Sandra by the hand and pulled her towards the door. Sandra gave Ari a slightly confused look, then shrugged and turned back around to follow Tanisha through the oak-molded doorway and towards the stairs. Why did you do that? Lulu’s voice chided at her. “I couldn’t,” Ari said out loud to no one. No one was listening. “She probably didn’t want me butting in, anyway.” She could almost see Lulu shaking her tiny, pronged face in disappointment. But Lulu wasn’t here. Not really. Lulu wasn’t here and Ari couldn’t just follow off after someone she just met and try to force her companionship on the girl. As much as she wanted to, the thought of running after Sandara made her stomach queasy and the blood in her arteries turn cold. She stood there in that same spot for a few very long minutes afterwards. She forgot that daddy was still there, still trying to build her a manufactured social life out of business associations and table scraps, until he spoke to her again. “Where’s your friend, dear?” he asked. His voice made her jump. “I don’t know,” she said. And she really didn’t. She thought about getting another piece of cake, but she couldn’t face it. She didn’t want to run into Sandara again. Or Stefan. Or Mazie. Or anyone. She just wanted to be alone. She hadn’t been in this house long in to discover all of its nooks and secrets the way she had in the Summerfax house. There she would have retreated to the crawlspace behind the kitchen stairs, or hidden enclave underneath the large cedar tree out back that blocked out all the light. Here in Blarn the only place for hidden solitude was the attic. And it was dark and full of dusty webs and perfectly mundane spiders that never wanted to join her in conversation. But she did know the pattern of her father’s parties. There would be one room in the house where no one would go. Ari marched up the stairs—sneaking to avoid any of the kids who might still be up there—and headed straight for the second floor guest bedroom. The bed was full of coats. Everyone’s coats, jackets, purses, and anything else they didn’t want to lug around the house were piled on top of the bed. There were enough guests that the pile rose several feet above the mattress. Ari walked around to the other side of the bed and flopped onto the floor. From here, even if someone walked into the room for some reason they wouldn’t still her. It was a high bed, and she was a small girl. She could sit here for as long as she wanted. Away from everyone. All alone. In Uncle Jacob’s room. That’s what they would have called it. That’s what they called the equivalent room in the old house. Other people stayed there, of course. It was the guest room. Sometimes her grandparents used it, or daddy’s brother, Uncle Frank, or one of madre’s artist friends when they came to visit. But it was always Uncle Jacob’s room. Sometimes, when he was visiting, madre sent Ari up to fetch Uncle Jacob to tell him that dinner was ready, or that it was time to put on Proper Clothes so they could go out to some function or other. On several of those occasions Ari walked into his room to find him sitting cross legged on the bed, his eyes closed, a wisp of a smile and a peaceful look on his face. The more she thought about those times the stranger it seemed to her. One day she finally asked him what he was doing. He smiled. “To everything.” Something about the way he said that word made it seem magical. Everything. Plump with whispers and secrets and possibilities. So she tried to join him. To sit there, unmoving, breathing, and just pay attention. She did it right there in the bedroom, even though they were supposed to be getting ready for a fancy Luminary’s Club gathering. And she did it later, too. Before she went to bed, some nights. Or during particularly mind-numbing social studies classes when the teachers droned on about battles of this and signings of that which, according to madre, were mostly lies anyway. In those quiet moments she made the effort to hush her movements and her monologue, and just pay attention. There was only one problem. She was terrible. She couldn’t sit still. She couldn’t stop the lively and perpetual Marrakech night market that took place in her head. There was just too much world to explore. Both out there in the grassy fields and in the cavernous reaches of her own brain. She wanted to pay attention. She wanted to see all of those things she might be missing. But how could she ever stop thinking? To stop weaving stories out of the half-remembered threads of her dreams? She had never really desired this. Until now. Right there, sitting on the carpeted floor of what should have been Uncle Jacob’s room, inhaling the aroma of new paint and dozens of designer leather coats, she didn’t want to think. She didn’t want to be. She wanted to fade into the walls and become nothing more than an irregularity in the pastel wallpaper. After a little while, even the wanting dulled, and she couldn’t feel anything at all. Nothing ran through her mind. There was just her body, and her breathing, and the feel of the carpet where her skirt bunched and her exposed legs made contact with the floor. For the first time in her life, Ari paid attention. That is when she noticed the most interesting thing she had ever seen. Once she noticed it, she was confused that she hadn’t seen it before. She didn’t understand it, of course. How could she have? It didn’t make any sense. It didn’t even make the kind of sense that Hobdob her grass goblin friend made. The kind that seemed obvious to Ari but confused everyone else when she gave them a perfectly clear and simple explanation. No, this was something altogether more bizarre. But there it was. She could see it, clear as day. She could see it even though it was day, and that was even stranger. Well, she couldn’t exactly see it. Not with her eyes, the eyes that were covered in a thin membrane of flesh while she slept, and sometimes got crusted over so that she had to wash them out with water when she first woke up before she could open them properly. But she could see it all the same. Just like Hobdob. The door to the coat room burst open and smacked against the far wall. In her heightened state of attention, she was fully aware of every feature of the boy who walked in. She saw his 63 inches of height, tall for his age. She saw the charge of energy that informed the way he traipsed across the ground. She saw the bright white teeth that glowed against the 65% dark chocolate complexion of his skin. She saw all of this, but she barely noticed. Ari barely registered the fact that Stefan not only appeared to know she existed, but had actively sought her out. A few minutes ago it would have seemed very important. “Do you see that?” Ari asked him. And they were. Right through the ceiling of Uncle Jacob’s room, and through the attic beyond it, and through the blanket of blue daysky that covered the earth, she could see straight to the stars. When she looked left, and right, and down, all around her, it was like the ground and the people and the earth weren’t even there. There was just a giant nest of stars, so dense and bright and beautiful that it brought tears to her eyes. It didn’t look like the night sky above Blarn or Summerfax. It didn’t even look like the rich tapestry of light Ari saw when madre and Uncle Jacob took her to the mountains. It was more like the images in astronomy books; lustrous clouds of luminescence, rich reds and greens and blues all intermingled like a sand painting. Only those were only pictures. Memories. These were alive. He thinks I’m playing a game, she thought. Then the truth flooded into her like a breath of oxygen after having her head under water for a long time. I am playing a game! It didn’t mean it wasn’t real. Stefan made a cup with his hands, jumped as high as he could, and scooped up a cupful of star stuff. He didn’t know where they were. She could tell he couldn’t see them. Not like she could, so impossibly bright she could barely stand it. But it didn’t matter; they were everywhere. He reached his hands out to pour his cupfull of stars into hers. She giggled and caught them. She looked back to the hole his scooping had left to watch the stream of stars flood in and replace them. But they didn’t. The place where Stefan gathered in stars let a hole. She could see right through it. A nest of stars. That had been her first thought when she saw it, and now she knew why. It really was a nest. A great, huge, impossible nest, wrapped around the entirety of the visible universe. And there was something inside of it. “Can you see that?” she asked. “I’m not quite sure.” She climbed up onto the bed, on top of the coats. She strained her neck to get a better look. It was both inside of the nest and outside of it. Something bright and hot and enormous. Brighter and more massive than all of the stars put together. How in the world had she not seen it before? But she saw it now. Everywhere she looked, even when she closed her eyes, she saw it. And in that moment it saw her too. There are things nestled within the crevices and among the bones of the cosmos that are so old and so alien that, if a mortal mind glimpsed them for the smallest imaginable fraction of a moment, it would burst into a billion shards of gibbering insanity. Graemoreax, The Inferno that Burned at the Heart of Mount Nothing, Devourer of the Eversong, remembered when these beings came into existence. Its brethren. It was ancient even then. And it remember when they, themselves, were shattered. Splintered into the crumbs of creation and stirred back into the pot to make the mortals and the heavens and the stars. It was there, and it remembered. For its part, Graemoreax did not know that it the day it chose to consume the four universes was also the eleventh birthday of a little girl named Ari. It was before all of this, and so much more. Before the time of little girls, and before the function of birth itself entered the vocabulary of creation. On the day the number eleven became manifest in the universe, Graemoreax was locked in endless battle with the First Unmade Scion of Kettherax, the Living Scar Beneath All Things. The eternal conflict, which had gone on forever and would have gone on forevermore, ended that very day with Graemoreax’s uncountable teeth at its opponent’s throats. The battle, it turned out once these things could be reckoned, was only eleven minutes long. Graemoreax knew nothing of little girls, and birthday parties, and the disappointment of leaving glittering Summerfax for boring old Blarn. Its ignorance came not from apathy, or from a lack of attention. No, the impossibly ancient thing paid far too much attention to the four spindly, interwoven fabrics that together made up the whole of both fathomed and unfathomable existence. The play of all things ran along beneath the gaze of the infinite featureless holes that passed for its eyes, and it saw everything. And it hurt. The archkthonios could not feel pain. Not as the creatures of flesh and nerves and tsetse fly-brief existences felt it. A single sharp spike that flares and then fades. Graemoreax’s expansive form did something much worse than feel pain. It remembered. It remembered the way only a being of inert fathomless power from before time and death and mind could remember. Every discrete moment of its existence was etched into its form. Like a scar. Like a tattoo, stenciled into its vision, clear and bright and endlessly hot in its perception, each instant forever like the first. It remembered the first cry of joy ever uttered, as Cosmos above made boundless, innocent love to Matter beneath, and birthed the first molecules that would become the stars. It remembered the First Rebellion, when the Mewling Spawnlings of the Endless Primordia, itself and its pack-mates, had risen up against their non-existent mother and torn her to shreds, thus ushering in the age of creation where time could commence and the universes themselves could begin. It remembered when the Devouring Allmind willingly sundered its own existence, moved by the strivings of the lesser beings to become more than what they were, and thus granted the gift of sentience to reality. It remembered because it could not forget. It was not made to forget. Forgetting was for beings that formed after time began. Beings birthed in the four universes, once entropy became the way of things and brought with it the greatest curse that could ever have been conceived: change. Graemoreax remembered the moment everything changed. The first moment things could change. 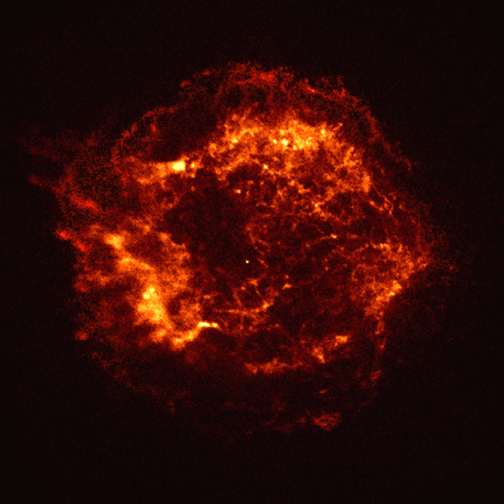 It filled the archbeast with a wonder so intense the brightness of a billion supernovae could not blind it out. And a fear so profound that had it been able to manifest it would have blacked out every sun that ever was or ever could be. Graemoreax was not made for change. Everything it had ever done had been timeless. Simultaneous. Eternal. Fated to be and non-existent, an effortless paradox in an age where everything and nothing was a paradox. They had never begun and would never end. Until that moment. It was not made for change. But it was here, now. Now and forever. And Graemoreax, the last of the archkthonios, could not resist it. Nothing could. All of its fellow spawn were gone, now. Not destroyed, of course. Nothing is ever destroyed. Not anymore. The few vestiges of the primordial destructive force that once composed the universe were housed within Graemoreax’s own intestinal walls, and long gone were the days when it would turn upon its own kind. But they were still gone. Changed so completely that they were no longer themselves. Only it remained. The strongest of them, though none could have predicted that it would be so. It had not the all-encompassing fury of Geburaknith, of the Claws that Cleanse the Impurity From the Fire. Nor had it the dynamic resiliency of Chlithering, the Allsnake, whose venomed fangs had pierced creation and opened up the wound of change, whose festering continued to this day. Of all of them, only Graemoreax endured. It did not understand why. It had tried to understand. For so long it had tried. But it could not. It was before understanding. The Bearer of the Uncounted Toothless Maws that Snapped at the Black Dawn had embraced change. Perhaps that was some part of why it remained undsundered. It threw itself into the fury and chaos of existence with all that it was. It spent an eon and a half in a dance with the Mistress of Time, their toes stepping lightly on every universe that could have been but never was. For a billion years it swam through the sundered corpse of the Devouring Allmind and dreamed the dreams of the living stars as they flared into bright and glorious life and then dimmed into sleeping cinders. When the Unconquered Spark rose up to declare itself Emperor of The Myriad Skies and all that was beneath them, Graemoreax lead the legions of chthonios and their worshippers against the false god, who used the last of his dying breath to chain the archbeast within Mount Nothing, there to burn for what would have been eternity, if eternity had been left to an entropic and ever-changing universe. It took the beast from before time and death a very, very long time to realize it was searching for something. It took longer still for it to recognize just what it was it was searching for. And yet another incomprehensibly long age passed before Graemoreax, Devourer of the Eversong, realized that it would never, ever, no matter how long it existed, find what it sought. So, like an aging executive who has finally realized that all of the sports cars and corporate achievement awards in the world are not enough to appease the ravenous singularity in his chest, Graemoreax gave up. It flew up and wove itself a nest of stars, closed every one of the infinite featureless holes that passed for its eyes, and slipped into dreamless, meaningless slumber. Or at least, that was the plan. Barely a million brief years passed before the archkthonios could was forced to face the futility. It could not sleep. It could never sleep. It was too violent. Too intense. Too passionate. It was a thing of snapping jaws and brightly searing fires. It was never made to change, or to care. But once these things were upon it, it could not resist them. The burning search would never stop scorching its impossibly enormous mind. Not while it lived. And it would continue to live. Forever. For the entire lifespan of the four universes. There was only one solution. All of it, everything that had ever existed or would ever exist, would have to go. Would it have swayed the archkthonios if it had known of Ari, and that this was supposed to be her magical day? Would it have chosen a different slice of time to rise up from its nest of stellar bodies and begin the last meal that anything in the vastness of creation would ever take if it was aware that there was a young, unhappy girl down there, and that its actions could only make a difficult day even worse? It is the same kind of question as asking yourself if you would stop wearing a raincoat if you found out that all rain really desires out of life is to kiss your exposed skin. Maybe you would, and maybe you wouldn’t, but why would you have ever bothered to stop and ask such question? Graemoreax did not ask these questions, for none of them mattered. Nothing mattered, and any that existed who believed it did were fooling themselves. It did not understand the concept of mercy, not in a sophisticated way, but if it had it would have felt that what it did was in the service of mercy. The archkhtonios had infinite mouths, with infinite tongues, and it had tasted everything reality had to offer. Or so it believed. Until the day of Ari’s eleventh birthday. Until the day it rose up to devour the four universes. Until the day that it noticed something that it, with its limitless mind, could never have imagined. Or rather, something noticed it. For on that day, for the first time, the true first time, something happened that Graemoreax could never have predicted. It was on the day of Ari’s eleventh birthday that Graemoreax, precambrian archkthonios, Bearer of The Uncounted Toothless Maws That Snap At the Black Dawn, decided to devour the four universes. Even before she had any hint of this, Ari didn’t expect much from her birthday. She hadn’t had a birthday with any magic to it since Uncle Jacob Went To the Stars. “Well, munchkin, no one really knows what happens to a body after she dies. But none of us can accept that. Some people can’t expect that so much that they tell themselves they know, for absolutely sure. But no one does. So we tell stories. I like to look up in the night and tell myself she’s up there,” he waved his hand at the softly shimmering sky. “Because it makes it less sad?” asked Ari. It was “Went to the Stars” after that, for the two of them. Uncle Jacob was never around much, but every time was special. One day she walked out of school to find him waiting for her outside, ready to take her to a private exhibition of African masks displayed in the personal basement gallery of an exiled Swaziland prince. Another time he woke her up in her bed at 11 PM to drive her down to the beach to a secret ice cream shop that was only open at midnight, and that made flavors of ice cream Ari had never heard of before. Ari used to wish that Uncle Jacob could be around all the time, so that they could constantly share these adventures. Then one day it occurred to her that, like diamonds, they sparkled all the brighter for their rarity. She didn’t really understand the word “maturity.” Not in a sophisticated way. But she knew without being able to describe how that this appreciation for the sporadic nature of Uncle Jacob’s visit was a sign of growing up. She never knew when he was going to show up. It could be any day at all. Except one. One day a year he was always there, and nothing would ever stop him. She didn’t realize quite why her birthday was her favorite day of the year until Uncle Jacob Went to the Stars himself, a few years after Grandma Cecily. There was no more magic to that day. Not anymore. There were parties, of course. Fully of chatty people and grilled foods and a painted man doing terrible things to perfectly innocent balloons. Daddy made sure of that. Every year he made calls to the parents of all of the local children to make sure that they would RSVP to the invitations they received in the mail, designed by his firm’s graphic designer. The result was a shindig full of strange kids with strange interests who didn’t always know Ari by name. It was like those teenager parties in movies where the heroine’s house is full of people dancing and drinking beer and knocking over her mom’s Tiffany vase, and at some point someone says, “Dude, great party. Whose house is this?” Of course it wasn’t really like that. Not in specific. There were a lot fewer teenagers. But Ari thought that in that magical realm where there are only 8 or so different types of parties and all earthly parties are pale manifestations of those, it was pretty much the same. This year’s party was sure to be particularly odious. It might be the first year where no one at all knew her name. Ari’s whole family had just moved to a new town a few months ago. They used to live in Summerfax. Now they lived in Blarn. It was actually called Blarn, a fact whose significance Ari couldn’t seem to fully impress upon her parents no matter how many times she brought it up. Blarn. It was like someone took blandness and a barn and smooshed them together, only they left out the good bits. Ari realized intellectually that Blarn probably did have good bits. Everything had good bits. Even barns had good bits. But she hadn’t found them. Besides, she was hadn’t wanted to move and was eleven years old, so if she wanted to ignore Blarn’s tiny hidden good bits, well, she would just go ahead and do that. Besides, even if it did have good bits, it wasn’t Summerfax. Summerfax, where she could smell two different bakeries from her house early in the morning. If she walked down the tiny street behind Carraway’s Pastries on the way to school Mr. Carraway would come out and give her a freshly baked hazelnut chocolate brioche for “his little princess.” Every time Ari wanted to tell him he was confused, and that she had neither the right to nor the desire for a title of hereditary monarchy. But she didn’t. Let the sweet old man have his dreams. In Blarn, instead of bakeries they had three different fast spicy chicken sandwiches within two blocks of her front door. None of which tasted much like chicken, and all of which were served by a different teenager every time they went there, none of whom had any interest in giving anything to little girls, princess or otherwise. Summerfax was a place where the old grass field next to the cemetery might secretly be a beach, lapped by the waves of an hidden ocean Ari could almost hear, if she closed her eyes tightly enough. Blarn had no such places. It had a lot of parking lots. Plus, all of her friends were in Summerfax. Daddy and madre, in classic parent fashion, didn’t seem to care at all that in moving they took Ari away from the people she loved. 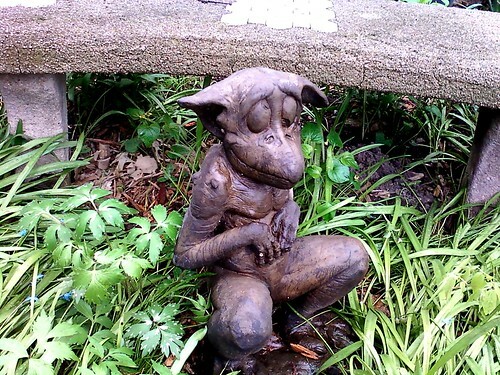 There was Hobdob, the grass gremlin who lived in the tall weedy lot behind their backyard. And Lulu, the reluctant heir to the throne of the earthworms who had run a way from her royal destiny to open up her own hotel chain. And Sinifi, the first of the nightingales, who had sung herself into being out of her own beautiful song. She tried to tell daddy about how much she would miss these friends of hers, and how she was sure she would find no one like them in Blarn. He seemed satisfied, but Ari wast confused. What kind of question was that? Of course Hobdob and Lulu and Sinifi weren’t real. Not if real meant the kind of things you see with your eyes made of jelly, and taste with your tongue that gets burned if you eat your pizza too fast and you have to wait for it to get better before you can taste anything again. But just because they weren’t real didn’t mean they didn’t exist. It didn’t mean they weren’t her friends, or that she would miss them even one drop less for it. Ari had been in her new school for almost two months by the time the day of her birthday arrived. Two whole months without anyone to talk to. Daddy always told her that he was always there if she wanted to talk about something, but he didn’t listen. Madre used to be wonderful to talk to about her friends and the stars and everything. But that was a long time ago. She was different, now. Ari hadn’t made any new friends. As she feared, Blarn’s chicken joints and copious parking lots were frustratingly free of Hobdobs. School wasn’t much better. There was a girl who she ate lunch with most of the time, Wendy. Wendy liked comic books and field hockey, and hated the fact that she had such a dull name as Wendy. They spent their lunchtimes discussing theories about Steven Universe, and what kind of superpowers they hoped to get if they every were ever exposed to magic rays or radioactive molecules. But they never saw each other outside of school. And she wasn’t coming to the party. Ari had checked the guest list. She didn’t know if Wendy wasn’t invited or if she just hadn’t RSVP’d, but it didn’t matter. In addition to Wendy, there was a boy at school that Ari found…interesting. His name was Stefan. He was always getting in trouble for doodling on his textbooks and talking in class. He seemed to say absolutely everything that came into his head, whether it was a good idea or not, and it almost always made Ari laugh. He was coming to the party. But that didn’t matter either. They had never really even talked, except for the day that Ari was asked by Mrs. Mithers to pass out the protractors. “Is there a sparkly one?” Stefan asked as Ari approached his desk with her box. Ari giggled. Stefan grinned, and she saw that his teeth were very white. They shone against his dark skin. His parents must care a lot about dental hygiene. She searched for the box. Nothing in it sparkled. She pulled out a periwinkle-blue protracter and placed it on his desk. “This isn’t sparkly!” he protested. “Look closer,” she said. “It sparkles on the inside.” He grinned again, and she walked away, trying to tuck her smile back inside of her so no one else could see. But that was it. They hadn’t talked since then. He didn’t catch her eye when arrived in the playground before school in the morning and scanned the yard looking for his friends. Every day she tried to catch his eye. She never did. They shared a single moment over a protractor, and that was all it was, for him. He didn’t know she was there, otherwise. He didn’t know she was real. “What was that, dear?” said her father as he walked by with a tray of canapes. What Ari didn’t know was that she had a lot more with old Hobdob than she realized. She also did not know that at that moment, Graemoreax, precambrian archkthonios, Bearer of The Uncounted Toothless Maws That Snap At the Black Dawn, was rising up to devour the four universes. Those two facts were about to collide into each other, and when they did…this was going to be a rather different sort of birthday.